The Kensington Conservancy is pleased to announce our successful grant application to the Ontario Trillium Foundation’s Capital Grants Program. In the fall of 2018, we applied to the Ontario Trillium Foundation for funds to install a geothermal heating and cooling system. This system will allow us to reduce our impact on the environment and lower the operational costs of the new TKC Conservation Centre. Work is due to begin on this on April 1st. 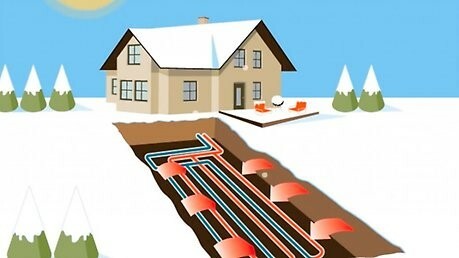 During the winter, geothermal heating and cooling systems absorb heat stored in the ground through the water that circulates in its underground loop. This heat is carried to the ground source heat pumps where it’s concentrated and then sent as warm, comfortable air throughout our building. When we need heating the most, the air outside is coldest. As a result, a traditional air source heat pump works hard to extract the amount of heat from the cold air needed to properly heat our centre. In contrast, a geothermal heat pump system consumes less energy as it easily absorbs ground heat from the abundant supply stored below the building, making geothermal heating significantly more energy efficient. During the summer, geothermal heating and cooling systems absorb heat from the building and transfers it to the underground loop where it is then absorbed by the cooler earth. 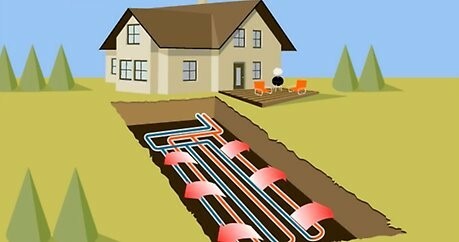 The geothermal heat pump uses the cool water returning from the ground to create cool, dehumidified air conditioning.